I couldn't express my love on Nando's copy. They are full of puns and linguistically humor approved. 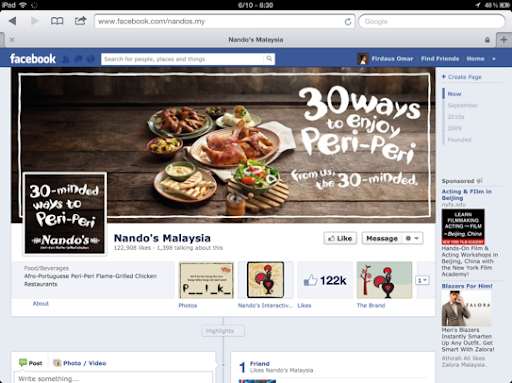 This one read "Dirty ways to enjoy Peri - Peri. From us the dirty minded". Like them here.